Blue Season Bali 4 Month Divermaster Internship - The perfect way of becoming a fully competent and confident PADI Professional! 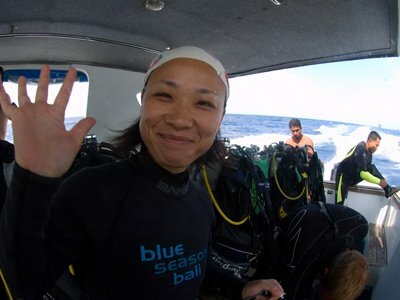 Our final core package is our 4 month PADI Divemaster Internship. 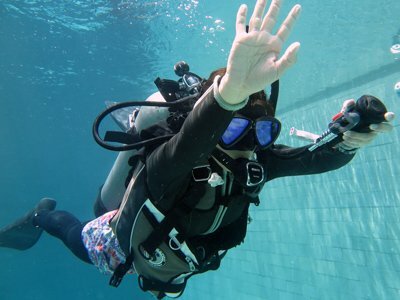 This package appeals to scuba divers who want to commit a substantial amount of time to the Divemaster programme and have all the extras included from an equipment package to 10 PADI specialty courses. Having a period of 4 months for unlimited diving, skills workshops, knowledge development, Divemaster workshops, assisting in guiding certified divers and assisting PADI Open Water Scuba Instructors teaching various courses is sure to guarantee you a level of experience and abilities unsurpassed by any other PADI Divemaster internship in the industry. All of this is of course done at a PADI 5 Star Career Development Centre under the mentorship of our Award Winning Pro Team Instructors. If the 4 month programme really appeals to you then you also maybe want to discuss our Instructor Development Course. Just contact us via the form below to ask about combining packages so we can tailor something perfect for you! Otherwise check out the Divemaster Internship comparison tool for easy comparisons between our Internships, 4 months isn’t your only option! Our Internship start dates are very flexible as we start a new course every week, just email us with any questions about specific dates. The benefit of the 4 Month PADI Divemaster Internship is that it provides you with so much time for flexibility within the schedule and to attain any recreational certifications such as the PADI Rescue Diver Course, the PADI Advanced Course or to complete any number of dives before beginning your Divemaster Course. This option is excellent for candidates who are not yet certified scuba divers, prefer to move at a slower pace or just want to gain nearly limitless experience before the conclusion of their program. Begin building your skills through theoretical and practical sessions such as weekly skills circuits, PADI Divemaster conducted course simulations, open water workshops, assisting PADI Open Water Scuba Instructors in training real PADI introductory and continuing education divers. In addition after repeating any aspect of the training as many times as you like you have months to apply your newfound knowledge and skills in real diving and training circumstances at a PADI 5 Star Career Development Centre guaranteeing you unparalleled amounts of experience. 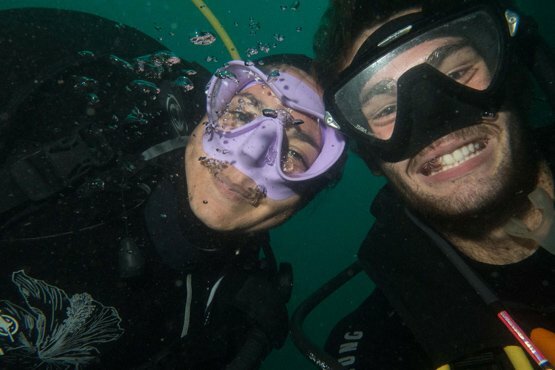 Adding to all of this an astounding 10 PADI specialties and even a freediving course, all of it only increases your expertise and shows future employers that you are truly versatile and experienced in various aspects of diving. You will complete this program with the abilities and confidence beyond what is needed to take the next step in our PADI Instructor Development Course or to immediately begin working as an already experienced DM upon certification. Don’t hesitate! Fill out the form below for more information and let us help you take the first step in becoming a PADI Pro and never have a dull moment at work again! What's Next? Have a look at our handy PADI Divemaster Internship comparison tool!